Experience a true tropical utopia at the Kuredu Island Resort. Surrounded by a shimmering aquamarine lagoon, with soft powdery-white sands and lush landscaped gardens, it’s hard to imagine a more heavenly destination. 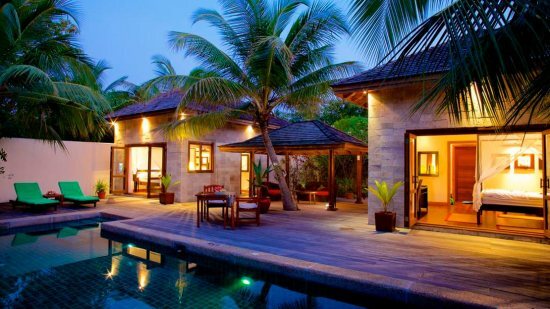 Luxury Maldives holidays here can be blissfully full of peace and serenity. Swimming and snorkelling in the crystal-clear waters, basking in the sun, and enjoying romantic fine dining with a magical sunset backdrop. The resort is also packed with fabulous facilities if you prefer to get active during your stay. From golf to cycling; tennis to windsurfing – there’s something different to do every day of your holiday. Kuredu island is in the northern part of a ring of beautifully secluded islands that make up the Lhaviyani Atoll. The nearby area enjoys over 40 dive sites, making it a paradise for water-babies. 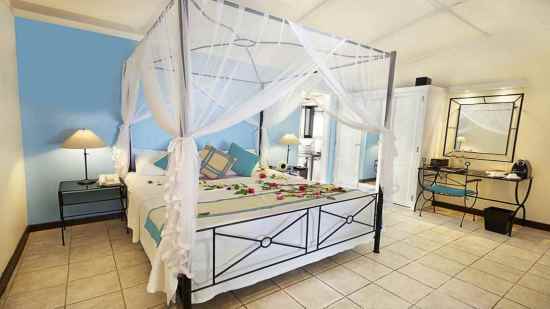 Decadent villas and bungalows make up the luxurious accommodation options, promising a refreshing night’s sleep. Each room type is individually designed, with traditional furnishings and there’s a good selection of choices for families and couples. 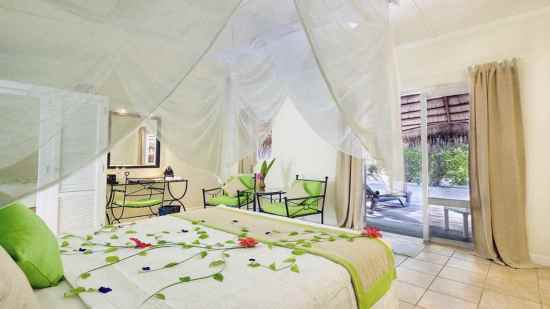 Whether you’re searching for a lavish romantic getaway, an opulent family holiday or an unforgettable honeymoon, you’ll find your dream holiday at Kuredu Island Resort. There’s 3.5 kilometres of heavenly, pearly white-sand beach lining a stunning turquoise lagoon to enjoy in this resort. The whole island makes up the resort, with a variety of delectable restaurants and numerous bars to try during your stay. It’s only 1800m x 325m, so whichever accommodation you choose, everything is within easy reach. 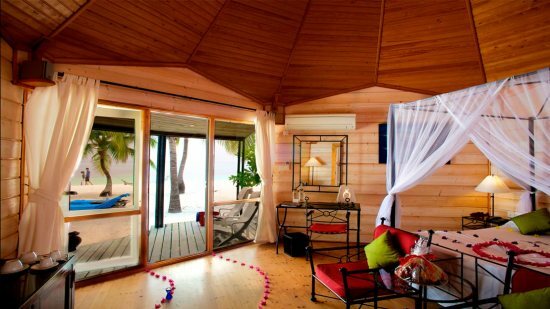 There’s a never-ending list of things to do at the Kuredu Island Resort, and excursions can also be arranged at reception. 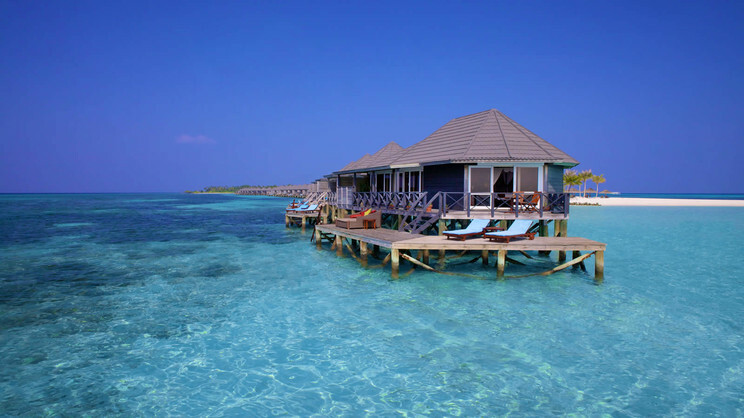 Kuredu Island Resort is approximately a 40-minute seaplane journey from the international airport.